Red Brick Canal LLC and Armand P. Arman have applied to the Board of Standards & Appeals for variance to permit the construction of an 11-story residential building at 482 Greenwich Street. The site is an irregular lot on the northwest corner at Canal Street at the edge of the historic shoreline within a high hazard flood plane and on the former site of a gas station. 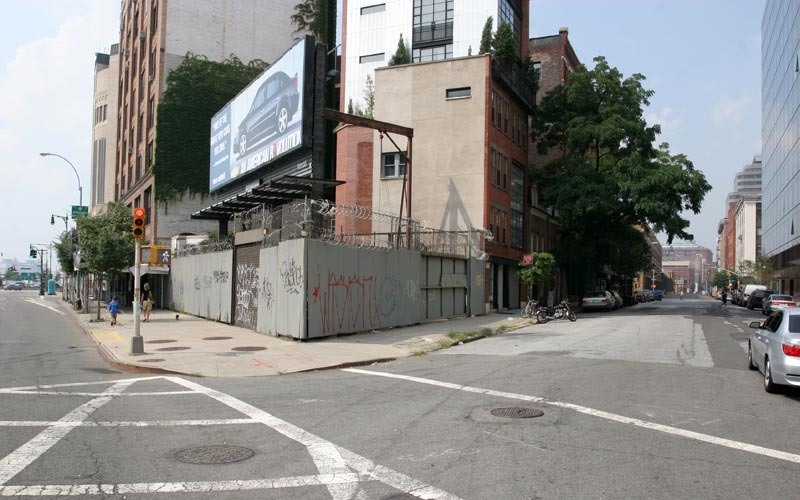 The developers want to demolish an existing garage and build 26 feet two inches above the street wall limit of 85 feet along Canal Street. The site of 482 Greenwich Streett. 30 July 2005.